The final race of the Tsogo Sun Gauteng Series Slots Chase Tournament delivered a marathon of fun for local Slots lovers at the nail-biting finale which took place at Silverstar on Saturday, 30 April 2016. 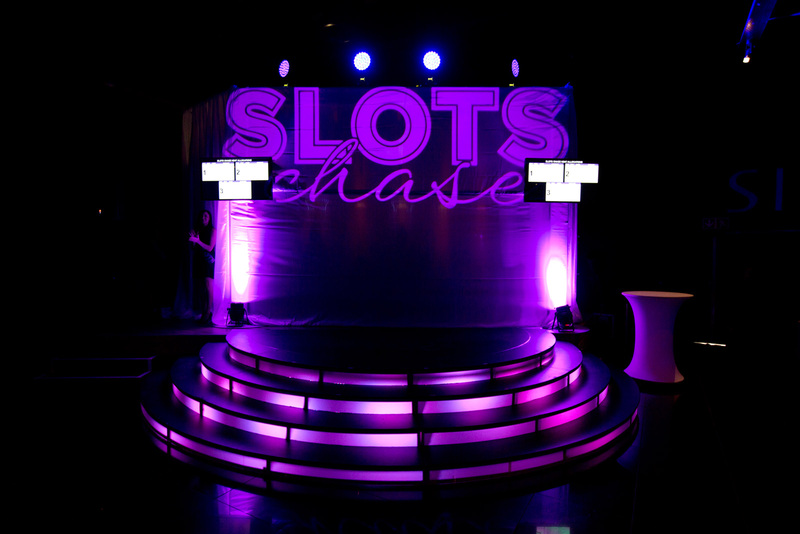 The Slots Chase Tournament saw Tsogo Sun’s three Gauteng based casino’s - Gold Reef City, Montecasino and Silverstar Casino - hosting daily heats over a six week period culminating in the grand finale at the popular West Rand based entertainment destination, Silverstar Casino. 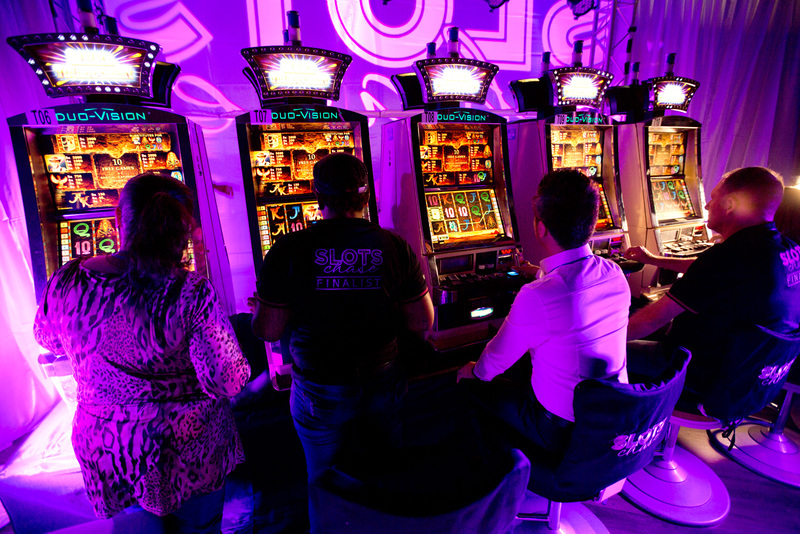 With R750 000 in cash prizes up for grabs, it was lucky first place winner, Pieter Viljoen representing Silverstar Casino who walked away with a whopping R500 000. Silindeni Mpala representing Montecasino won second place. Everyone was a winner on the day as the semi-finalists, finalists and invited guests’ were treated to a VIP experience at the dazzling event. Entertainment on the night featured a kaleidoscopic display of roller skating dancers, weaving their way through the venue accompanied by awe-inspiring acrobatics and body painted entertainers who wowed the crowd performing to spectacular music. Guests were also treated to a variety of culinary delights and left the event thoroughly thrilled. 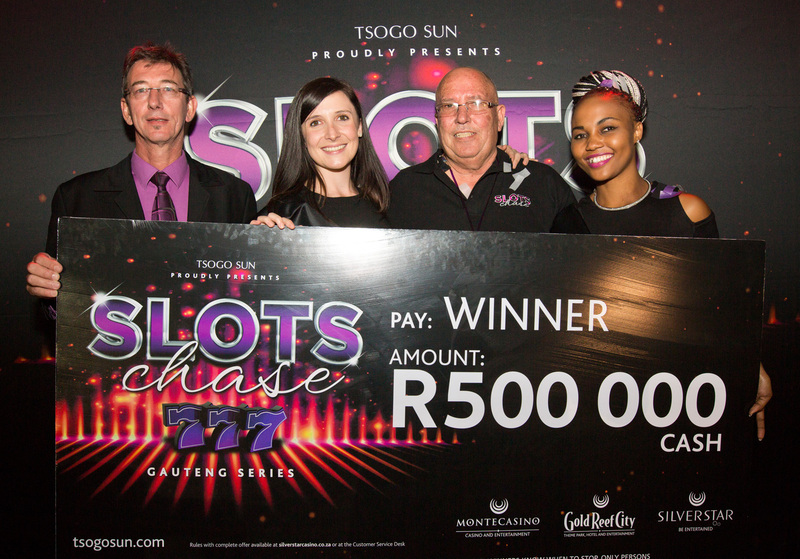 L-R Marius van Rooyen (Tsogo Sun’s Group Gaming Manager) with SlotsChase Tournament Winner, Pieter Viljoen and Silverstar Team members.